My little boy likes Super Heroes, trains, dinosaurs, sports and of course CARS! Anything with wheels is a hit with Roo! 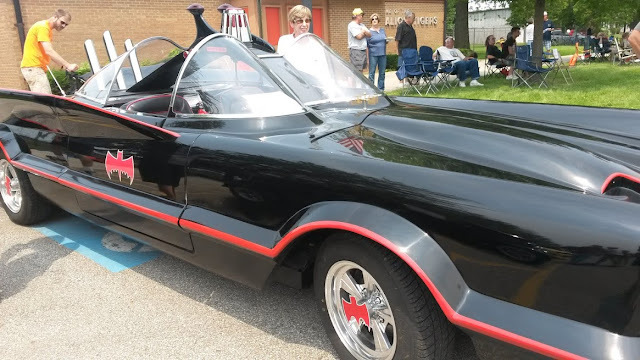 While we were strolling around at a little community event in Galion, Ohio my son was delighted to see a car show! He strolled among hot rods, classics and styles we had never heard of! Holy Smokes! 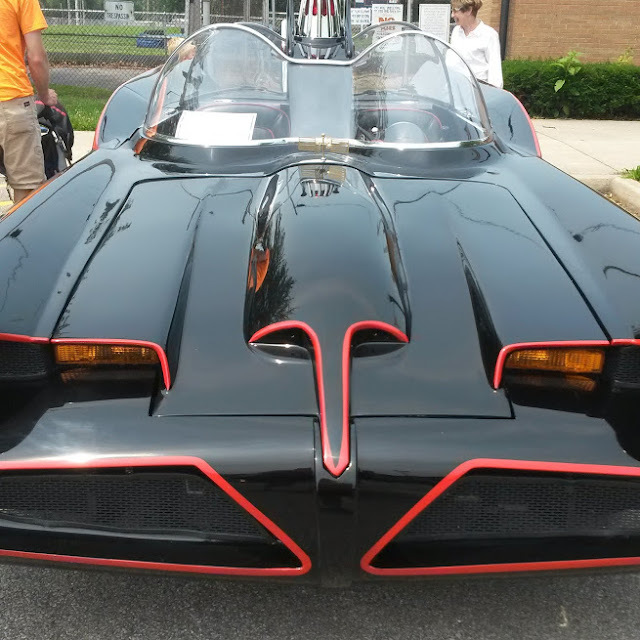 It is the Bat Mobile! Even I had to admit this was quite a sight of a car. These are the kinds of cars that little boys dream of. 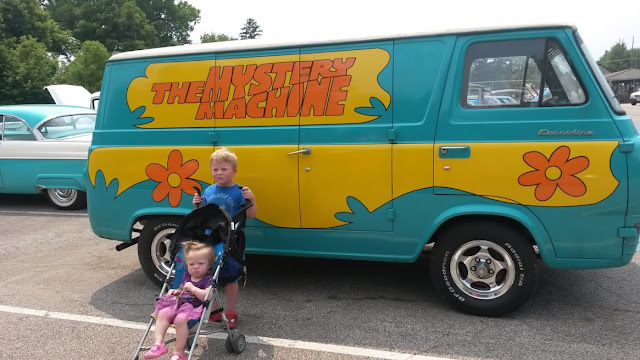 Imagine the delight of both of my kids when we found the Mystery Machine! We are just starting our interest in Scooby Doo so this was.... Ah-Mazing! Then we ran into a really great Micro-Bus. My husband was wide eyed and tye dye dreaming for a few minutes over this one. I loved that seeing this in our little town. It was like a mobile part of history that we got to show our kids. They are little, but someday I will show them these pictures and maybe trigger their memories of this day when they want to learn about the 60's! Isn't it amazing how out of the blue you can find things like this in the smallest towns? While I am not a "car person" I love sharing in experiences that my kids are interested in and experiencing the magic and joy of it through their eyes. When was the last time you took your kids to something like a car show? 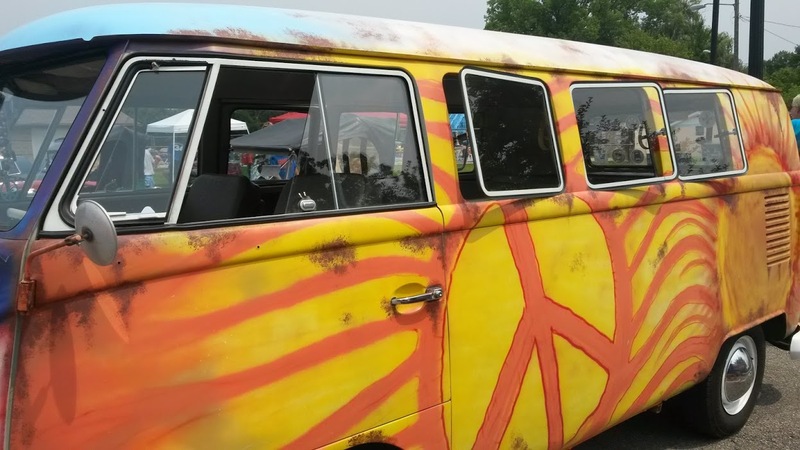 Did they enjoy the experience of seeing so many cool cars? Oh my gosh what great cars!! Love the bat mobile and the mystery machine! I have to admit that I'm not a big car person, and neither is anyone in my family. 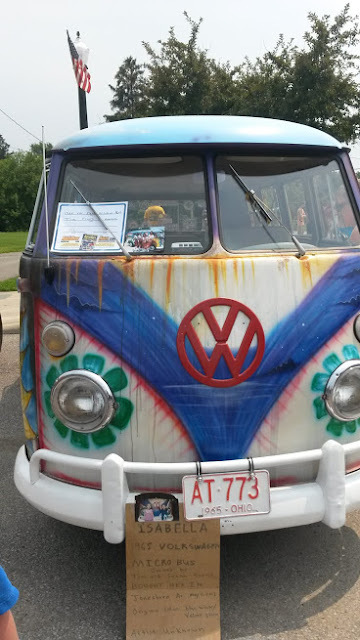 But I definitely went through a "hippie stage" so seeing those vans are really cool! I have been to a few car shows but not too many. We are more of an outdoor/sporty type family. I sure did enjoy your pics though. The mystery machine is super cool. I took my boys to a car show last year and they had a blast. 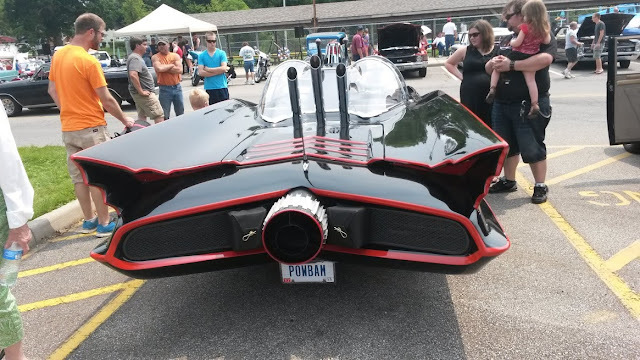 That's a lot different than many of the car shows we've been to, but car shows are something my parent's always used to take me to. I wouldn't say I'm a car enthusiast, but it's so fun to go. 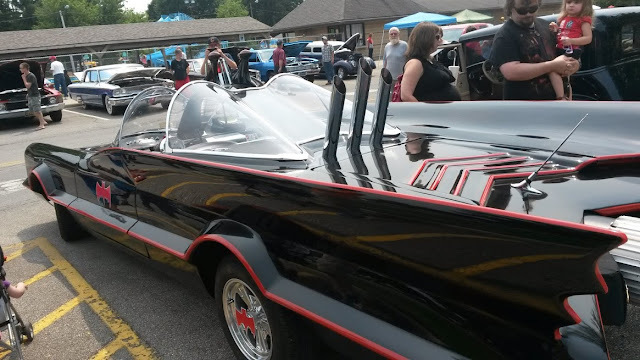 I wish we could get the Batmobile or the Mystery Machine at a local car show here! I'm not a big car person, but next time I may have to walk through the car shows I run by from time to time. Because those are some cool rides!